Barbara was classified yesterday at 5 pm edt as expected. 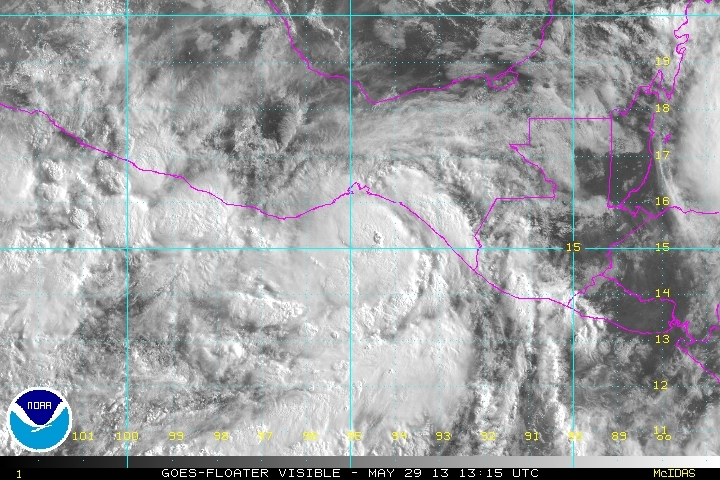 Deep convection increased overnight and Barbara is close to becoming a hurricane. Travel interests in southern Mexico should closely follow Barbara's progress into Thursday. As of 8 am edt / 5 am pdt was centered near 15.2 N / 95.0 W or about 70 miles south of Salina Cruz, Mexico. Movement is ne at about 8 mph. Top sustained winds are estimated at 65 mph (NHC 65 mph). Pressure is estimated at 995 mb. Barbara will make landfall in several hours. The stronger right side of the circulation will bring the worst conditions to the eastern side of the Gulf of Tehuantepec. Strong winds over hurricane force, heavy rainfall of over 5", and storm surge of 3-5 feet can be expected near and to the east of the landfall area. Barbara was upgraded to a minimal hurricane last hour at 75 mph. Weakening will be rapid over land. Heavy rainfall with flooding will continue to be a concern into tomorrow. Winds and surge will gradually subside. 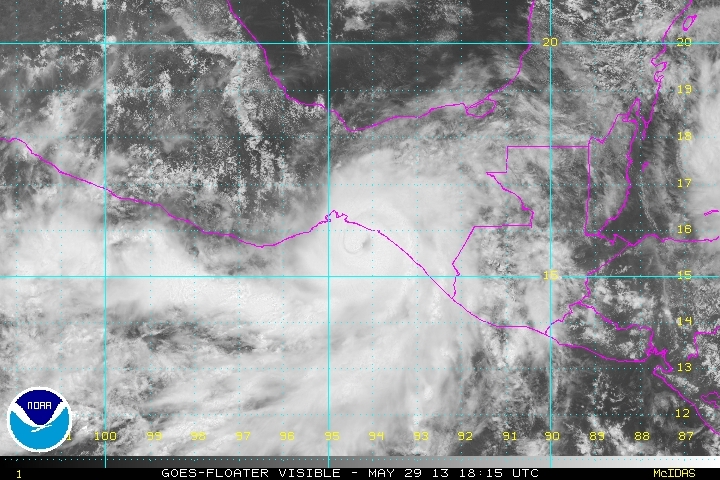 Barbara is dissipating over southern Mexico this morning. Arriaga in the state of Chiapas reported a rainfall total of 16.02".